Mother and boyfriend accused of child abuse of a 1-year-old boy, now in a medically induced coma from his injuries, are set to be freed without bail under NM Bail Reform guidelines. Dahn Leidy, 24, and Florencio Mendoza, 35, were both arrested for child abuse charges resulting in serious bodily harm and tampering with evidence at the scene. 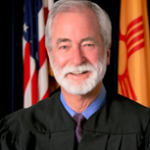 Second Judicial District Court Judge Cristina Jaramillo denied the prosecutions petition for detention of the couple and instead opted for free release under New Mexico Bail Reform after the Arnold Foundation’s “Pretrial Risk Assessment” tool determined that they were not a danger to the community or a flight risk and therefore should not be subject to any accountable release – just a “promise” to appear on an “unsecured” appearance bond. The release is the result of newly enacted Supreme Court guidelines orchestrated by Chief Justice Daniels that virtually eliminates accountable pretrial release and bail. 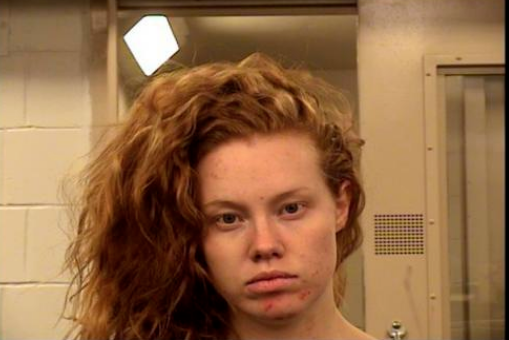 ALBUQUERQUE, N.M. — An Albuquerque mother and her boyfriend who are facing child abuse charges in a case that left a 1-year-old boy in a medically induced coma will not await trial in jail, a judge ruled on Monday. Dahn Leidy, 24, and Florencio Mendoza, 35, were arrested last week on suspicion of child abuse resulting in great bodily harm and tampering with evidence. They will now be released with certain conditions they will have to follow. They remained in jail late Monday, according to online records. Both Leidy and Mendoza appeared in state District Court on Monday for a detention hearing. Second Judicial District Judge Cristina Jaramillo denied a petition for pretrial detention, and ordered both Mendoza and Leidy be released. Mendoza called Albuquerque police last Monday and said Leidy told him she was going to “hurt the baby, watch him die and commit suicide,” according to a criminal complaint filed in Metropolitan Court. When police arrived at Leidy’s home in the 8200 block of Bridge SW, they knocked on the door for 30 minutes before she answered, according to the complaint. An officer wrote in the complaint that the baby had “bluish skin” near his nose and mouth, and a cut on the side of his lip. At the hospital, doctors found internal injuries to the child’s lungs and liver. Prosecutors had filed a petition to have both jailed until their trial. Bail Reform is reckless and dangerous – with zero regard for victims or criminal accountability.